Recently, the state of my wrapping paper and supplies has gotten completely out of control. 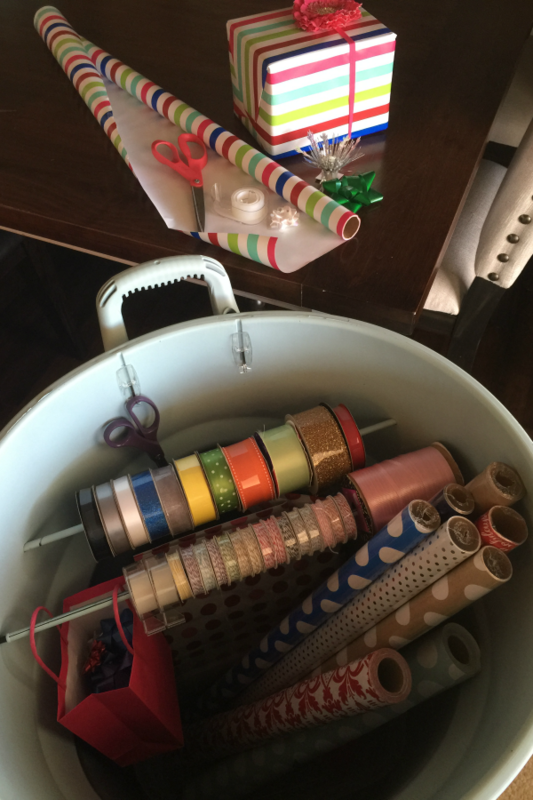 And because I will never own one of those adorable wrapping paper rooms you see in some homes (sigh), I decided it was finally time to tackle the chaos in this particular area in my home (read scattered all over in a couple of different closets and a food storage room…). 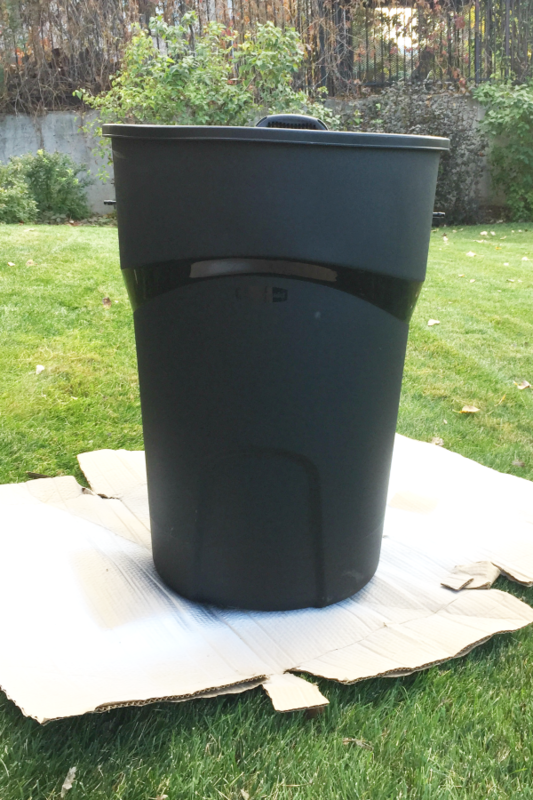 I recently partnered with Rubbermaid and was challenged to use the 32 gallon Newell Rubbermaid® Roughneck™ Wheeled Refuse Trash Can either in a traditional way or find a new and creative use for mine. I knew it would make the perfect portable Gift Wrapping Station with a few creative adjustments. 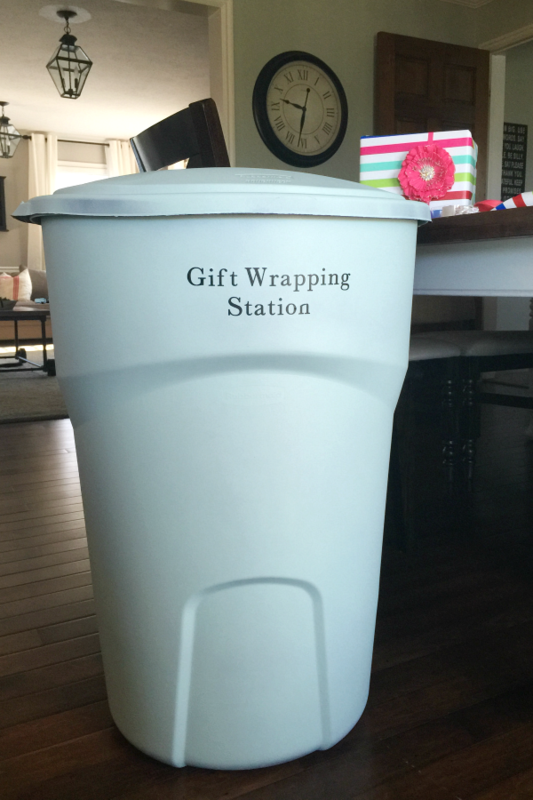 The trash can is well built and sturdy which makes it great for yard work…which is always abundant at our house…but it is also the perfect size to hold your pretty wrapping paper, gift bags and gift wrapping supplies all in one handy, dandy spot. 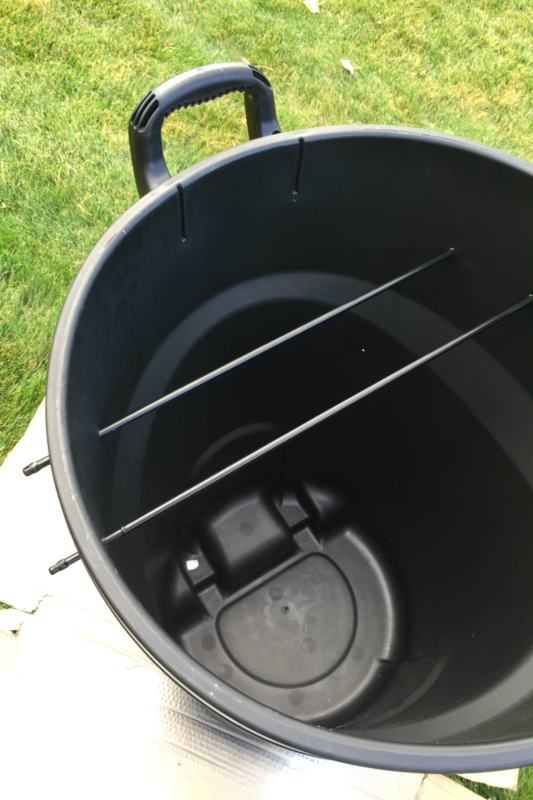 The wheels and the handle allow you to easy move the can from your storage place to where you will be wrapping gifts this holiday season. You can pick one up at your local Home Depot. I took these curtain rods and used them to hold rolls of ribbon and baker’s twine that we use in our gift wrapping. 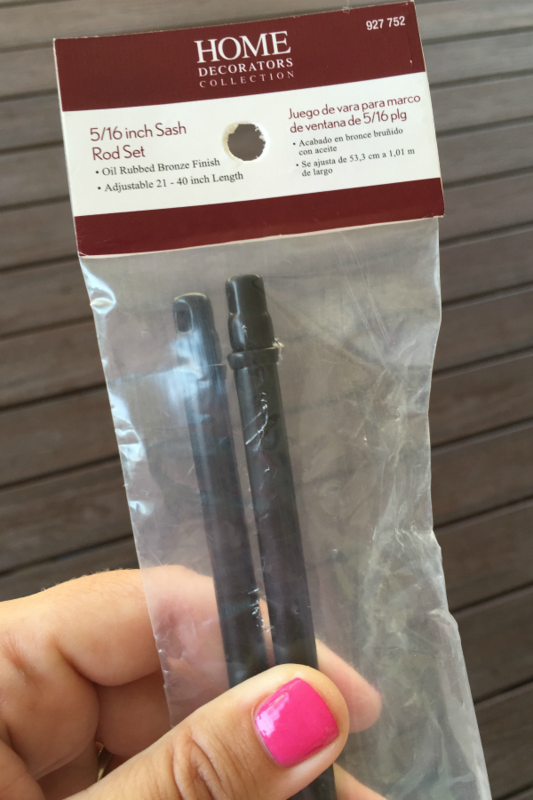 To attach them, I simply took a drill and a 5/16 inch drill bit and drilled a hole for each end of the curtain rod to pass through the garbage can. They can then be pushed in and out of the holes to add the ribbon on them when needed. 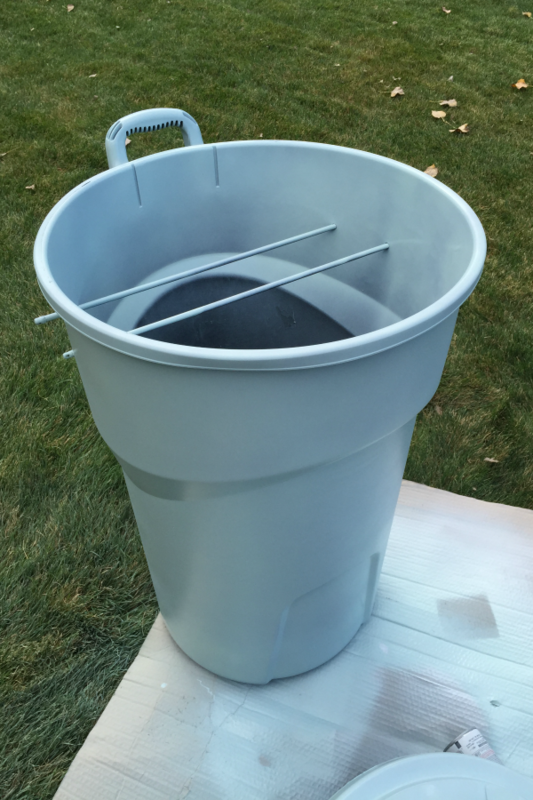 And because I love me some spray paint, I painted the garbage can this lovely shade of Robin’s Egg Blue. 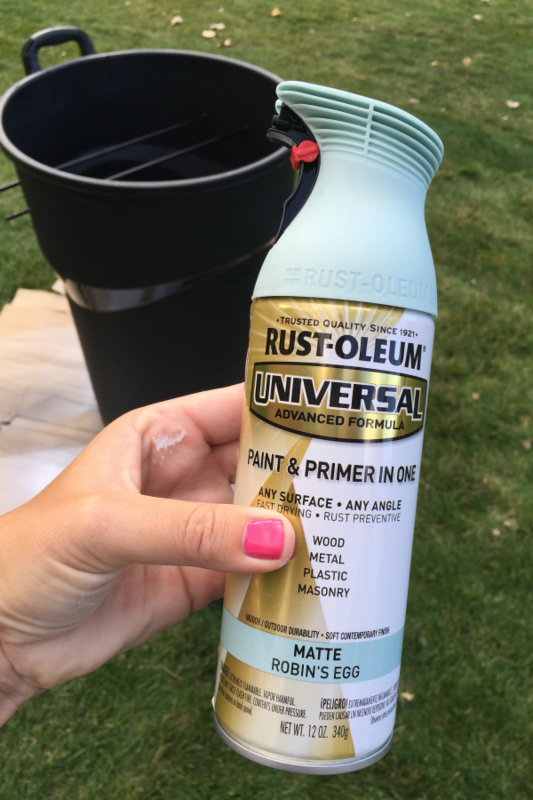 It took almost two cans but covered so nicely! Isn’t she pretty? 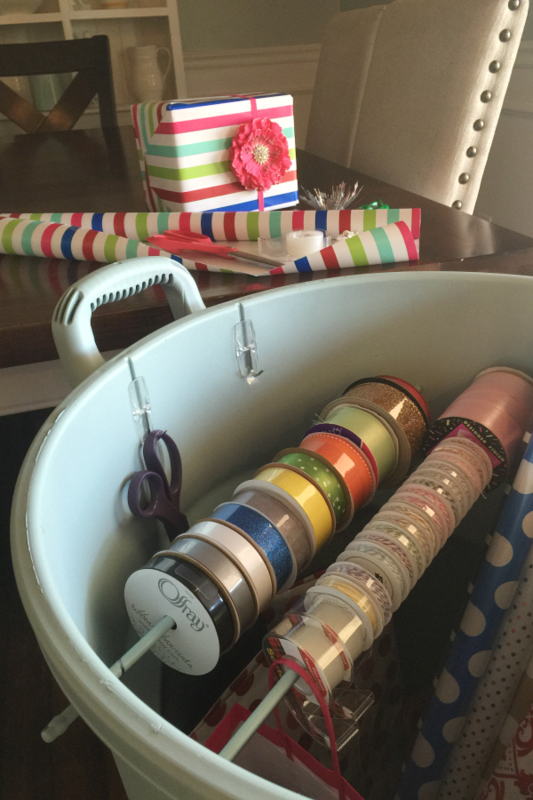 Use some command hooks to hang some scissors and tape on the inside of the can and you will have everything you need to do your holiday gift wrapping all in one easy to find and easy to move location. What do you think? 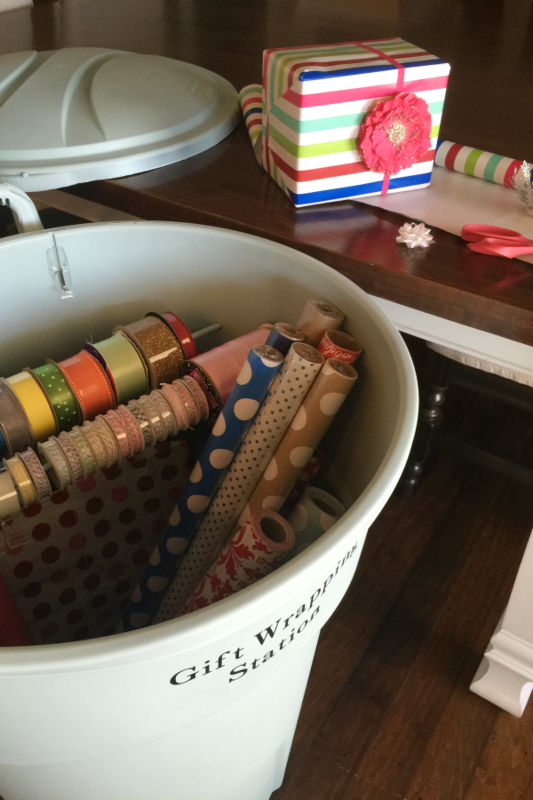 Does your gift wrap need some organization too? I love this idea! I’m going to try it! I am so glad! Hope you love it! Great idea!! I’m trying to figure out a good way to store mine right now so I can get all of that out of my art studio.